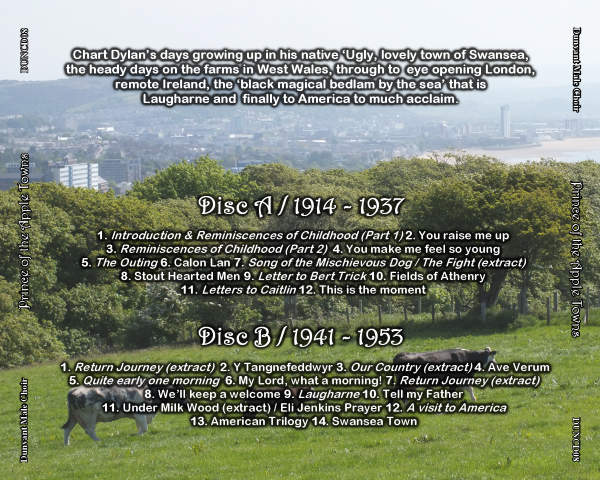 Click the image for track listing details. 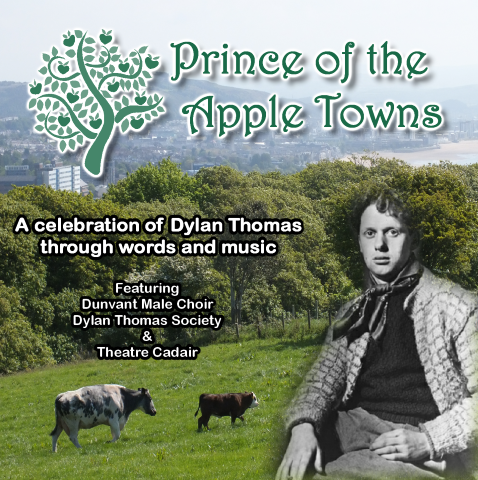 A celebration of Dylan Thomas through words and music from the Dunvant Male Choir, Theatre Cadair, pupils of Bishop Gore School and the Dylan Thomas Society. 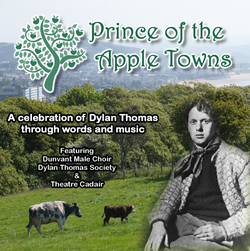 Chart Dylan's days growing up in his native 'Ugly, lovely town of Swansea, the heady days on the farms of West Wales, through to eye opening London, remote Ireland, the 'black magical bedlam by the sea' that is Laugharne and finally to America to much acclaim. 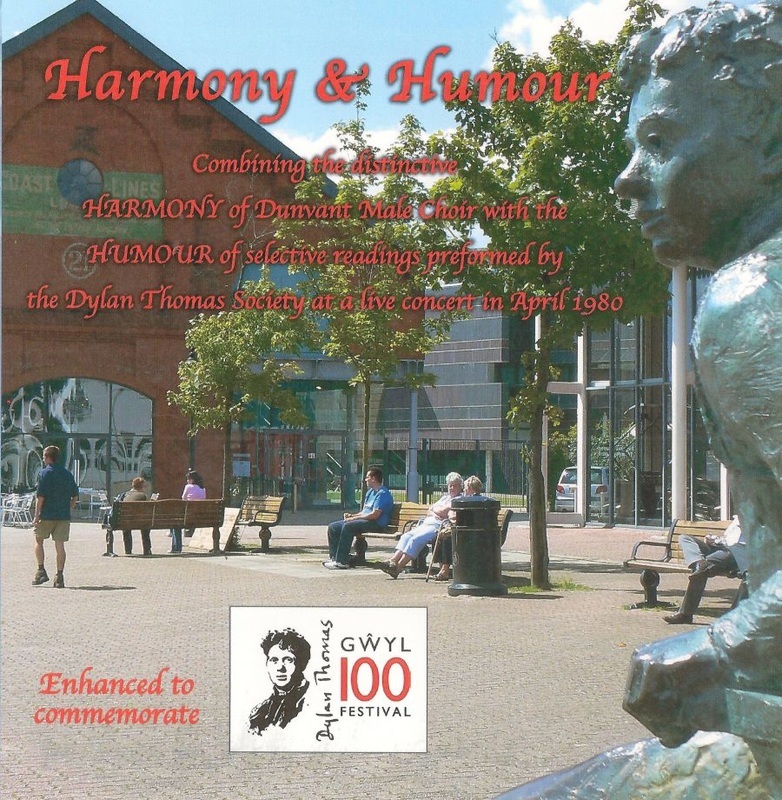 Combining the harmony of Dunvant Male Choir with the humour of selective readings performed by the Dylan Thomas Society at a live concert in Swansea in April 1980.